I don't have kids, but I've long heard from MacStories readers that this kind of model – a 'Family' app on the Home screen with lots of stats and easy-to-access controls for parents – would be fantastic to have on iOS. Given Apple's commitment to families, I'm surprised iOS' parental controls seem so lackluster when compared to what Nintendo has done with a game console. Finch is spot-on about Super Mario Run and what went wrong with the game, and I agree with his assessment of Animal Crossing's future potential. I wonder what Nintendo could do with a future mobile Zelda game. See also: rumors of Nintendo looking for another mobile development partner, and Pocket Camp's performance thus far. 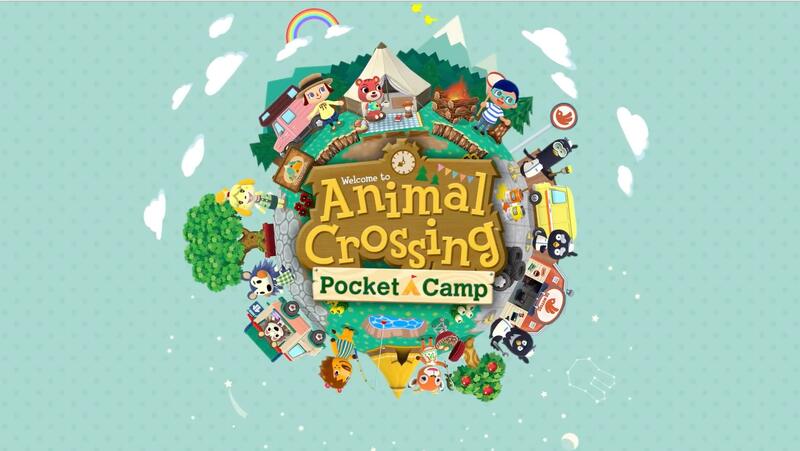 This past Friday, Nintendo America announced via Twitter that Animal Crossing: Pocket Camp would be available on iOS worldwide on November 22nd. Instead, the game showed up unexpectedly early on November 21st. This isn’t the first time Nintendo has surprised fans with an early release. In September, after announcing a release date for a major update to Super Mario Run on the App Store, Nintendo released that game a day early too. 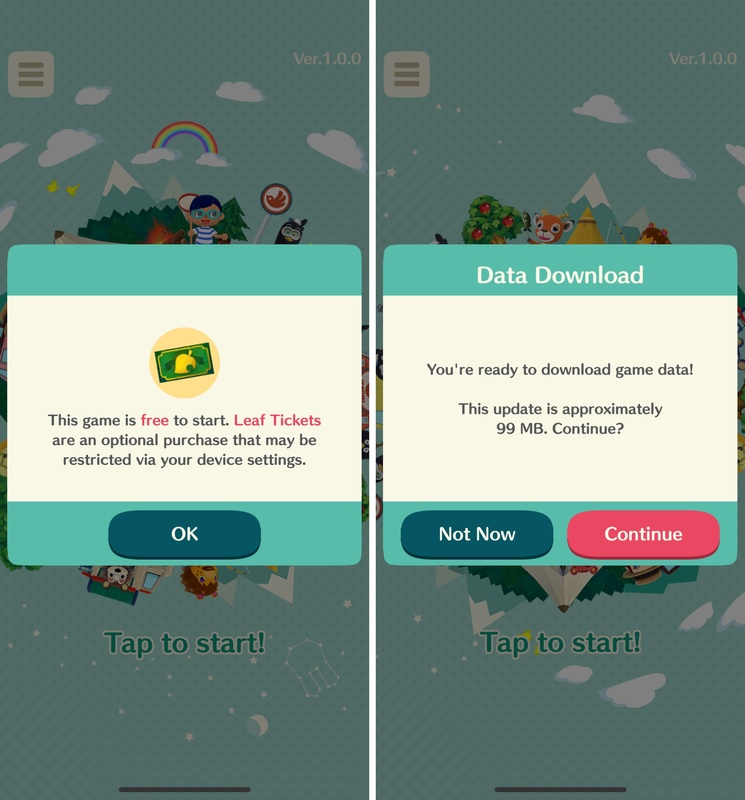 In a move that may be in response to complaints that some levels of Super Mario Run required an in-app purchase, Animal Crossing is up front about its pricing, imposing a popup during the setup process that explains that Leaf Tickets, which are an in-game currency, can be purchased, but are optional. Before you can get started, there are also other instructions and a 99 MB update to download. It’s a laborious process but doesn’t take long if you have a good Internet connection. Animal Crossing is based on Nintendo’s 3DS title Animal Crossing: New Leaf - Welcome amiibo and includes some of the same characters. You play as the manager of a campground, building your campsite and interacting with animals you meet. As you play, you collect items and complete tasks for the animals you meet. The materials you collect are used to craft items to decorate your campsite. Leaf Tickets, which you can earn in-game or purchase as an In-App Purchase can be used to purchase accessories for your campsite or speed up the construction of items. I have only just scratched the surface of Animal Crossing, but it looks great, especially on an iPhone X. The game’s colors are vivid, and it takes full advantage of the iPhone X’s display. While not as deep as the Animal Crossing games available on Nintendo’s hardware, Pocket Camp looks like a fun way to spend some time over the long Thanksgiving weekend in the US. I’m also looking forward to connecting with friends who have Nintendo accounts to see what kinds of campsites they build. Animal Crossing: Pocket Camp is available on the App Store as a free download. On this week's episode of Remaster, we share our thoughts on Super Mario Odyssey. There are spoilers in the second half of the show. This is a good one. You can listen here. Squarespace: Make your next move. Enter offer code INSERTCOIN at checkout to get 10% off your first purchase. As part of its earnings report, Nintendo announced today that its iOS game, Super Mario Run, has not yet reached ‘acceptable profits.’ At this point, nearly a year after the game’s debut, it’s hard to imagine when, if ever, that point will be reached barring a major shift in the game’s business model. Super Mario Run took the App Store by storm in December 2016 breaking download records and topping the charts around the globe. But the game, which is free to download costs $9.99 to unlock all the levels. That’s a steep price by App Store standards for games. 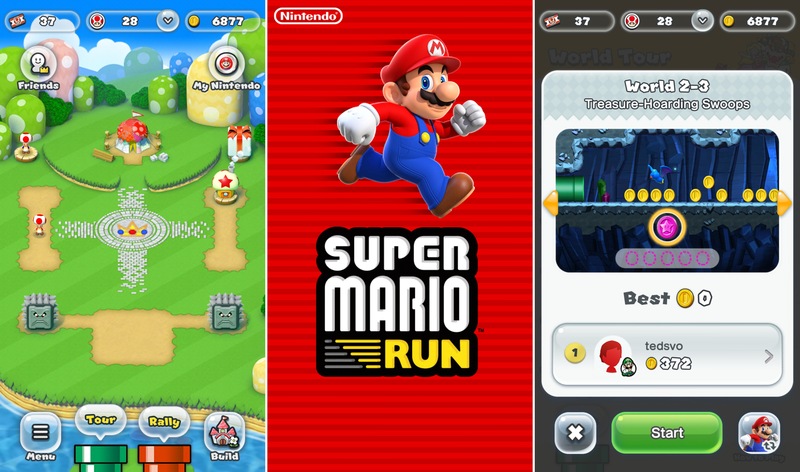 About a month later, the Wall Street Journal reported that Super Mario Run had been downloaded 78 million times and earned $53 million in revenue. In contrast, Nintendo says that Fire Emblem, which was released in February and features a free-to-play model, has met its profit objectives. The same in-game consumables model has been adopted for Animal Crossing: Pocket Park, which is available in Australia and New Zealand but won’t debut in the rest of the world until late November. I’m not a fan of free-to-play games in general, although they can be done tastefully. Perhaps Nintendo’s profit expectations for Super Mario Run were too optimistic from the start, but it’s hard to argue against free-to-play for a company like Nintendo when even its most beloved franchise is perceived a failure on mobile platforms. 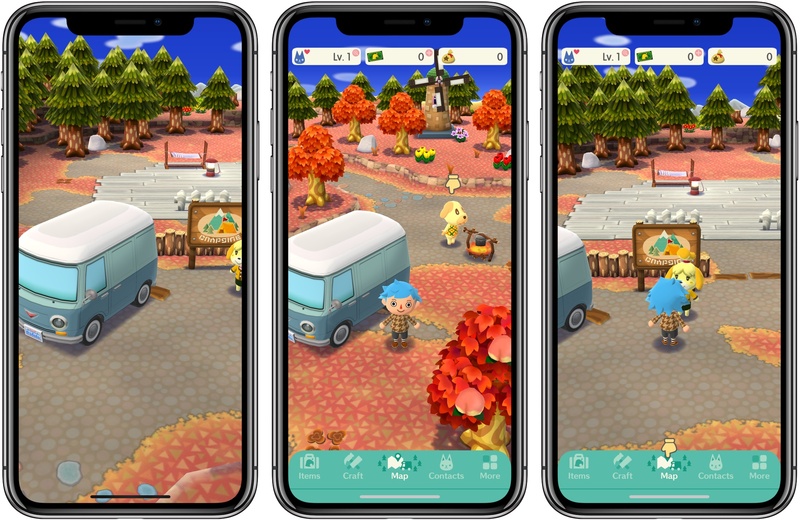 Most of the world has to wait until late November for Animal Crossing: Pocket Camp to arrive on iOS, but if you live in Australia or New Zealand, you can play the game now. Jed Whitaker has an early review at Motherboard where he provides additional details about the game’s free-to-play mechanic and stacks it up against Animal Crossing: New Leaf, a 3DS game on which Pocket Camp is based. Wait times in Pocket Camp are three hours. By comparison, New Leaf wait times are three days, which Whitaker points out should make Pocket Camp more tolerable to fans of the franchise. Still, if you simply must have an item right away and can’t wait a few hours, you can buy Leaf Tickets as an In-App Purchase. Fans of the Animal Crossing series may also need to lower their expectations a little. 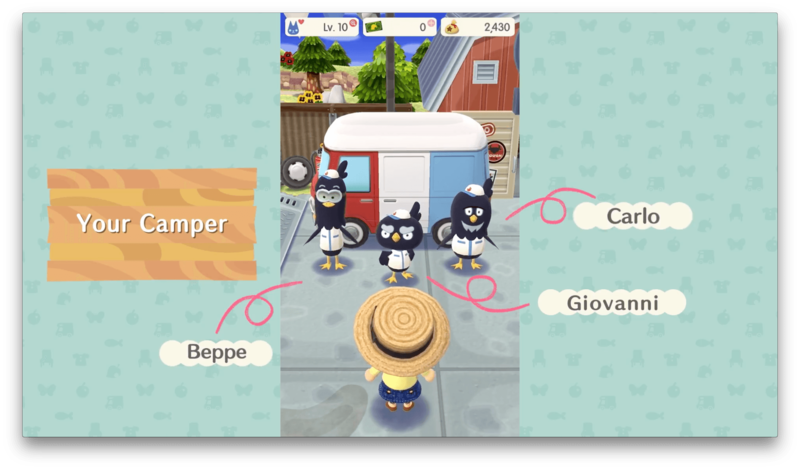 At launch, there are only 40 animals to befriend in Pocket Camp, a small number compared to the over 300 available in New Leaf. Still, even if it’s not as deep as other incarnations of the series, Pocket Camp looks as though it strikes a good balance that should make the free-to-play aspects of it tolerable. Nintendo has announced that Animal Crossing: Pocket Camp will be released on iOS and Android. The game, which follows a free-to-play model like Fire Emblem Heroes that debuted earlier this year, will be familiar to anyone who has played other titles of Nintendo’s Animal Crossing franchise. Originally expected by March 2017 along with three other games, Nintendo’s latest iOS game will be released in late November 2017, although it is already available in Australia. A major update to Super Mario Run, which, according to a feature on the App Store, was scheduled for release tomorrow, debuted a day early. The update features a brand new mode called Remix 10, a new World Tour course, and more. The goal in Remix 10 is to find Princess Daisy by navigating 10 short courses that change each time you play. Regardless of whether you complete a level, you move onto the next until you finish all ten. There are new items in Remix 10 that you can collect to decorate your Mushroom Kingdom. Princess Daisy, who features a double jump ability, is also a playable character who is unlocked after playing through enough Remix 10 levels. The new mode is an interesting twist on the existing game that works well on mobile for when you may not have as much time to play or just want to practice the game. A new World Star level has been added to World Tour mode that is accessible after you complete the first six worlds. World Star features all new courses like a forest and ship packed with coins. There are other small enhancements to Super Mario Run too. For example, if you listen to music while playing, the characters will appear wearing headphones. 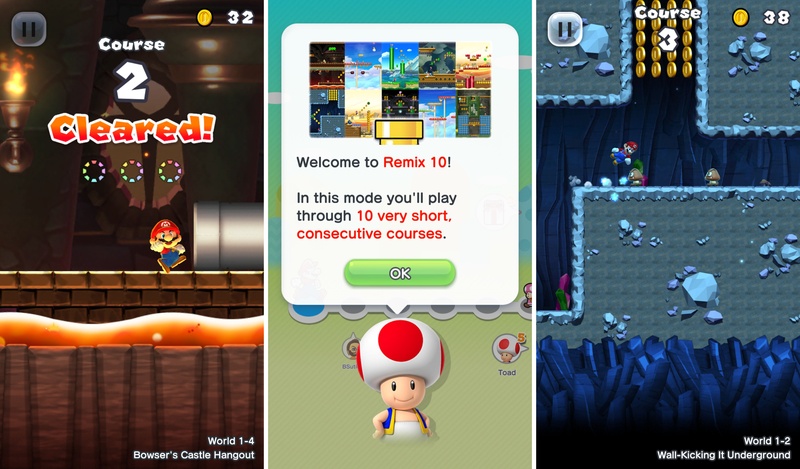 Also, new buildings are available for your Mushroom Kingdom by playing Bonus Games in Remix 10. Super Mario Run is available on the App Store. Through October 12th, the price of Super Mario Run's In-App Purchase has been reduced from $9.99 to $4.99. On Friday, July 21st, Nintendo will release Splatoon 2, one of its marquee titles for the Switch console, which will be the first game to take advantage of the Nintendo Switch Online app for iOS. The app is available to download now, but won’t be of much use until Splatoon 2 is released Friday. In the meantime, you can download the app, sign into your Nintendo account, and review instructions on how to invite friends to play. Invitations can be sent over social media like Facebook, WhatsApp, Twitter, and Line. The app will also allow players to chat with friends using a headset connected to their iOS device. 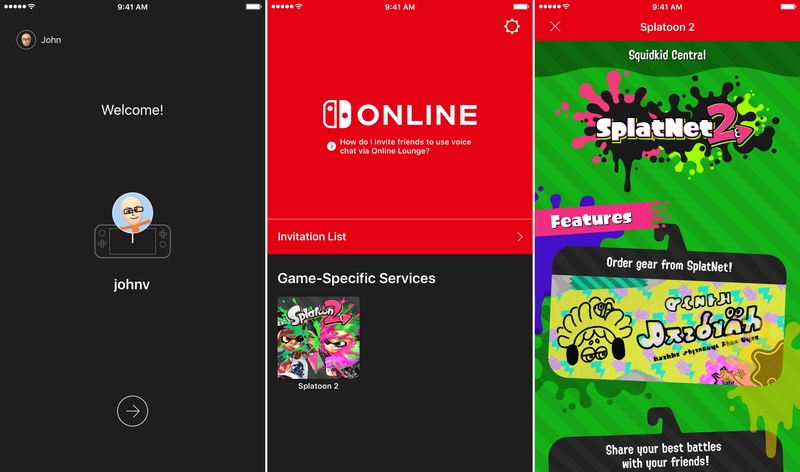 Nintendo Switch Online is a free download on the App Store. Nintendo’s online service is free while it is in beta, but will cost $19.99 per year or $3.99 per month when it launches in 2018.